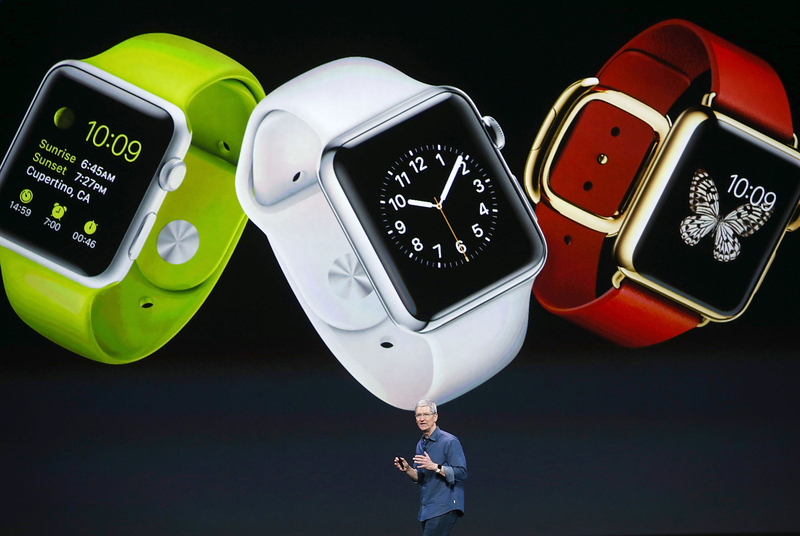 Not keen on buying an expensive Apple Watch before you know how it works IRL? Already, a new startup is here to solve your purchasing woes. According to Mashable, Lumoid will rent out Apple Watches for $45 to let people test out the new gadget before actually buying one. The company has set up a waitlist for the watches that go on sale April 24, though it will initially have a limited amount to rent out. The fancier Apple Watch Edition, which will start at $10,000, won't be for rent, but the Apple Watch and Apple Watch Sport will be available. The basic Apple Watch Sport that will retail for $350 will cost $45 to rent and the Apple Watch that will start at $550 in stores will rent for $55. Fortunately, if you decide to buy a watch, some of the rental money will go towards your purchase — $25 for the Apple Watch Sport and $30 for the Apple Watch. The startup launched earlier this year, renting out camera equipment, drones, and wearable gear, like other watches and fitness devices. The website allows customers to pick five wearable devices to try at home for a week to test out which one works best for them and only pay for the rental if they decide not to buy any. It’s easy to see how a phone or computer or tablet fits into your life, but a watch that reminds you to stand or helps you pay for for your groceries can be a harder sell, especially when you only get to test it in the store. The interest has been beyond our wildest expectations. We've shipped thousands of units for people to test out and are seeing a very high conversion rate between trial and purchase. People like the idea of being able to test drive wearables, because they have so many options, and then deciding which one to buy. Time will tell how well Lumoid's idea works out. In the meantime, we're all still waiting in anticipation for Apple Watches to finally get here.